The final in a series of six evidence-based guidelines, the Neonatal and Paediatrics module’s recommendations were approved by the National Health and Medical Research Council (NHMRC) on 21 March 2016. The module was released on 29 April 2016. Module 6 Neonatal and Paediatrics is under review. This version was published in April 2016 and is based on the best available evidence published up to September 2016. The original version remains available to guide practice. 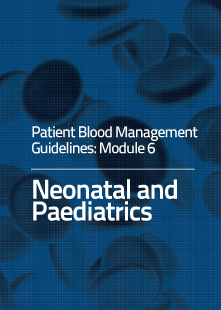 Module 6 is intended to assist and guide health-care professionals in making clinical decisions about blood management in neonatal and paediatric patients. Module 6 includes six appendixes that provide guidance on dosing, assessment and optimisation of various products and situations in the neonatal and paediatric population. 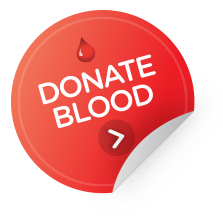 The Haemoglobin Assessment and Optimisation template (Appendix H) and the Critical Bleeding Protocol (Appendix K) are designed to be adapted to meet the needs of local institutions’ protocols, policies and procedures. The Neonatal and Paediatrics module and accompanying resources can be accessed by clicking on the relevant links below. The National Blood Authority (NBA) greatly appreciates and acknowledges the input received from the clinical community in producing the Patient Blood Management Guidelines. We are pleased to acknowledge that the following organisations have formally endorsed Module 6 - Neonatal and Paediatrics.